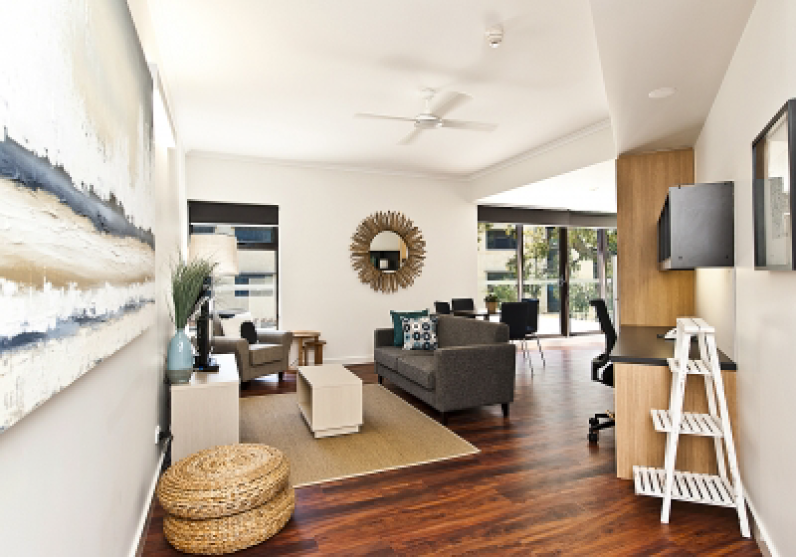 Adjacent to The University of Western Australia Crawley campus, and just minutes from Kings Park and the City, are the University Colleges offering contemporary self-contained & serviced executive apartments. Trinity is located directly opposite UWA - a short stroll to the Campus through an underpass or walk along the magnificent nearby Matilda Bay. Stay in air-conditioned, en-suite rooms in this premium, affordable 3.5* accommodation. Rates include complimentary breakfast, Wi-fi and parking. 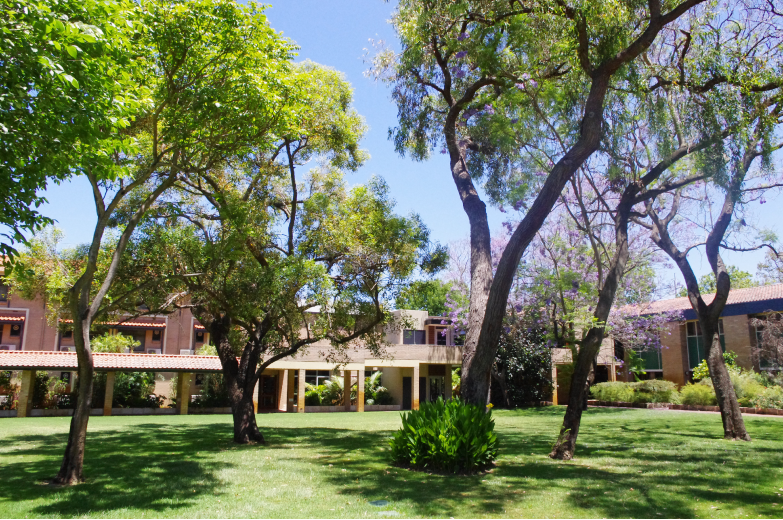 Relax in beautifully maintained gardens and make use of common areas. Premium Studio Apartment- Features include King Bed, lounge, 40 inch LCD TV, WIFI connectivity, full size fridge, microwave, hotplates and comes with a large private balcony. 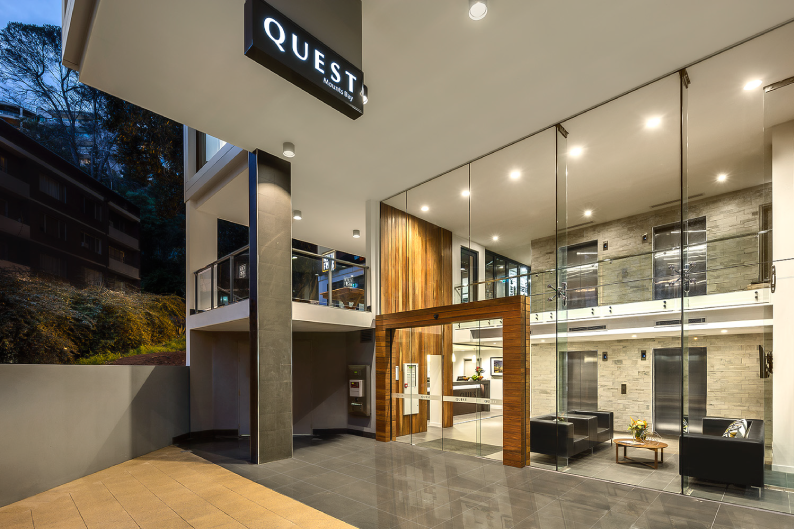 Quest Mounts Bay Rd is located a short 8 minute drive from UWA. Public transport is also available, with a bus stop almost at the front door. Studio Room - Offering a king bed, apartment-controlled heating/air conditioning, kitchenette with cooktop, full sized fridge, oven, toaster, kettle and microwave, ensuite bathroom with amenities and hair dryer, desk, LCD TV with Foxtel and high-speed internet access. A wardrobe, ironing board and iron, and private safe add to the convenience. A daily housekeeping service is included. Studio Executive - All the features of a Studio Room, on a high floor to enjoy a great view. One Bedroom Apartment - With a separate bedroom featuring king bed and a relaxed living area containing a sofa, LCD TV with Foxtel and work desk, fully equipped kitchen with a cooktop, oven and full-size fridge, and dining table. The bathroom offers amenities and hair dryer. A daily housekeeping service is included. 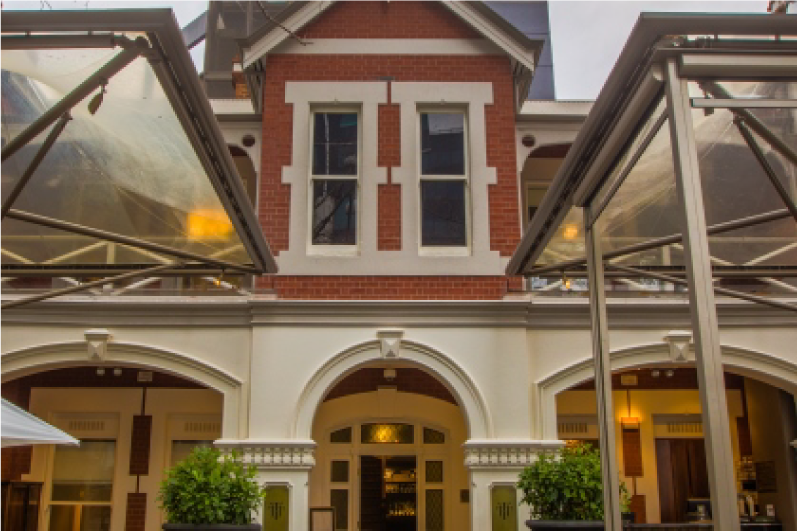 Located In the heart of the West End of Perth's CBD, the Terrace Hotel is the ultimate experience for accommodation, dining, entertainment and style. Approx. 10 minute drive to UWA. Public transport also available within a short walk. Deluxe Double - Offers Bang and Olufsen flatscreen television, high-speed Wi-Fi and Apple technology, double bed, mahogany and oak writing desk, custom furnishings and marble bathroom featuring a separate shower and free standing bath complemented by luxury amenities. Deluxe Room - Offers bespoke furnishings including a king-size poster bed, mahogany and oak writing desk, club lounge chair, chaise lounge, Bang and Olufsen flatscreen television, Apple technology, custom furnishings and marble bathroom complemented by luxury amenities. 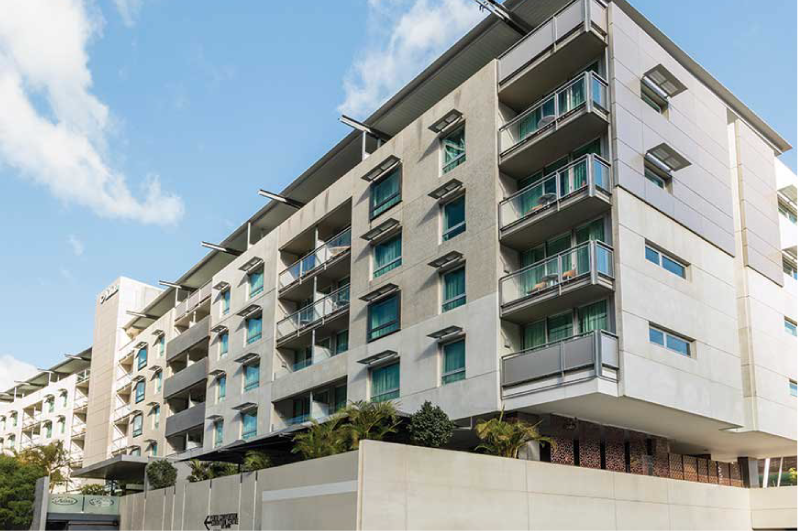 Conveniently located in Perth’s CBD, and an easy drive (approx. 10 mins) to UWA. Public transport also available within a short walk.